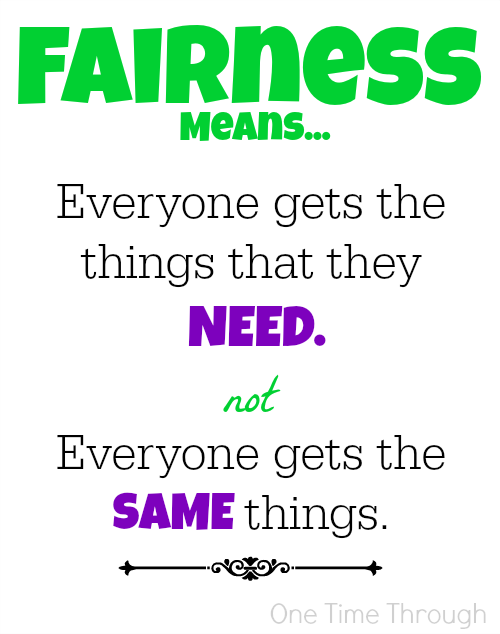 Tired of hearing, “That’s not fair!” from your kids? Or do you remember saying that yourself when you were a child and you want to avoid your kids thinking the same thing about you? Check out our 5 secrets to being a fair parent today! It was interesting how similar all the answers were and I was able to group them into 5 categories – or “secrets!” You might even realize that some of these things bothered you when you were young. 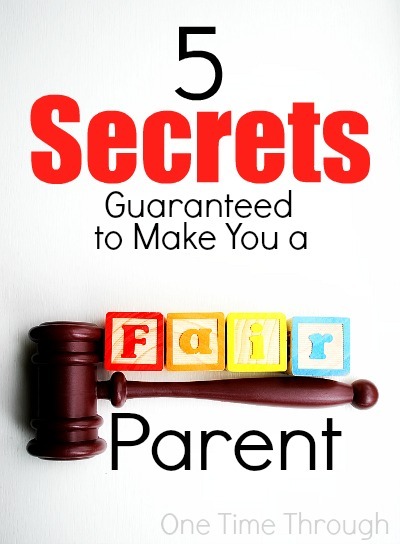 In addition to revealing each secret, I’ve added some examples of how to use these secrets to be as fair a parent as possible (in your kids’ eyes!) 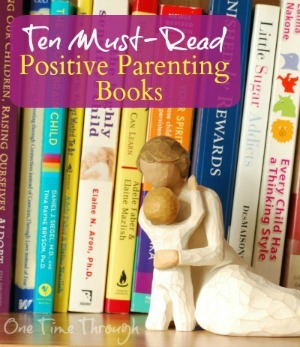 – gathered from my favourite positive parenting resources. Secret #1: Kids respect you more when you EXPLAIN your thinking. The days of “Because I said so!” are long gone. Kids today expect to be treated fairly and respectfully (rightfully so!) – and part of being respectful is to explain your thinking when you are asking your kids to do something they don’t want to do. Kids often resist cooperating or balk at doing something you want or need them to do because they don’t see the big picture. They may not know the social rules in certain situations, or they may not understand how their behaviour affects others yet. In these kinds of situations, it’s always a good idea to make your expectations for their behaviour clear, and add a simple explanation. “Live so that when your children think of fairness, caring, and integrity, they think of you.” ~H. Jackson Brown Jr.
For example, while visiting a library, you can remind your preschooler that they need to use a quiet voice and walking feet inside because people often read in a library and it’s easier to focus in quiet and calm surroundings. Or, at the mall, you can ask your toddler to hold your hand while walking so you will know where they are and that they are safe in such a busy place. Or, you can explain to fighting siblings (after breaking them apart) that you expect them to use their words when they are upset, and that you will not let them hurt each other because you want them to always feel safe and secure at home. Secret #2: Kids accept consequences better (and learn more from them) when they believe they are FAIR. 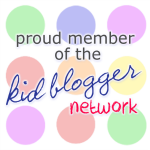 According to Barbara Coloroso, author of Kids Are Worth It! : Giving Your Child The Gift Of Inner Discipline , the best way to ensure your consequences are fair are to keep them natural and reasonable. Natural consequences are things that happen without you having to do anything. Natural consequences are perceived as fair – because you are not involved. The kids just get to experience the unpleasant outcome of a choice that they have made themselves. Warning: Don’t rely on natural consequences if the outcome is likely to hurt your child, or allow someone else to be hurt or treated unfairly in the process. When there are no natural consequences, you may have to create some. To keep them fair and reasonable, focus on making the experience be a learning tool instead of a punishment. 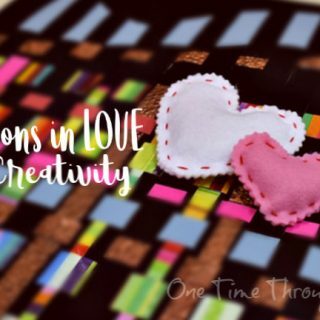 For example, instead of sending your child to a time-out in their room when they are horsing around in the house and break a special memento (and are likely to get angry and feel treated unfairly! ), try a time-in to talk about what happened. 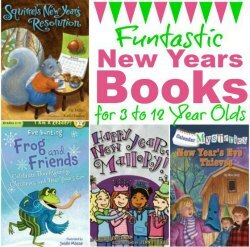 In our library example above, if your preschooler continues to be loud or rambunctious, it makes sense to leave the library without getting new books as a consequence. At the mall, if your toddler refuses to hold your hand or stay close, you can put them in the stroller to keep them safe as a consequence. With fighting siblings, it might make sense to separate them until they have cooled down and are able to use their words with each other instead of their hands. Warning: If you’re too angry yourself to make sure consequences are going to be fair and reasonable, take a parent time-out to cool down before you act! Kids will respect your consequences much more if they know that they were not made in the heat of the moment by an angry parent. 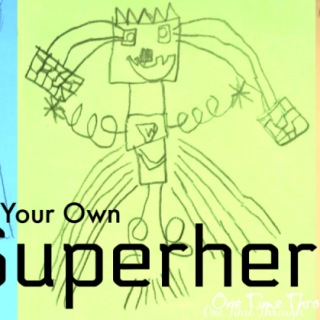 Secret #3: Kids view you as fair when you are FLEXIBLE. Kids resent us when we say NO right away without really considering their opinion or point of view. They scream “Unfair!” when we make all the decisions and don’t allow them to make choices for themselves. And they lose respect for us when we refuse to be flexible. Being a strong parent doesn’t mean that we can’t also be flexible. In fact, the parenting style most associated with positive outcomes for children is often described as being firm but flexible, or democratic (Barbara Coloroso). 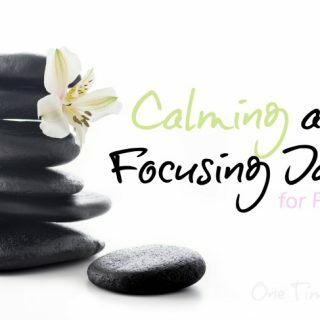 Easy ways to add some flexibility into your parenting? Be willing to find compromises with your child. 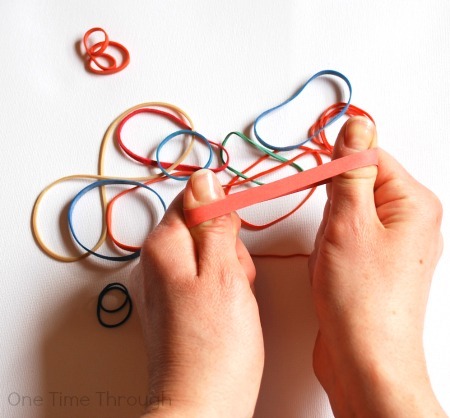 Give your child lots of choices about how to do things. Allow them second chances when they mess up. If you don’t like their proposals, have them convince you of why they should have something, or get to do something. Click here to read more about the benefits of being a flexible parent. Secret #4: Siblings don’t really expect to be treated exactly the SAME all the time. Sometimes as parents, we go too far in trying to be fair. When one child gets something, we want to make sure that the other siblings don’t feel left out. But, the truth is, kids really just want what they NEED from you, when they need it. So, just because Johnny’s shoes are worn out and he needs new ones, doesn’t mean that Sally needs a new pair too when hers are perfectly fine. And just because 12 year old Pete gets to stay up until 9pm doesn’t mean that his 6 year old brother Dylan should get to as well. And just because Kayla’s parents help her buy a car when she’s going to be commuting to college, doesn’t mean that Joey will get one too when he leaves home to go to college in a city where he can take the bus. Kids can be taught to understand that you will do your best to provide each child with WHAT they need, WHEN they need it, and that that doesn’t mean that everyone will get the same things. Sally can be told that when her shoes wear out (or she outgrows them), she will get a new pair too. Dylan can be told that he needs more sleep than Pete and so he needs to go to bed earlier. And Joey can be told that even though Kayla got help buying a car, he will get help with his tuition instead. It’s a good message to reinforce from a young age and in the end, when your kids know that they will get what they need when they need it – they realize how fair you are! 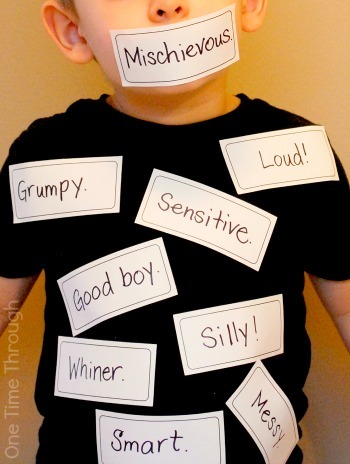 When we pigeon-hole our kids by labelling them, our expectations for their behaviour often begin to become unfair and kids are experts at detecting this! 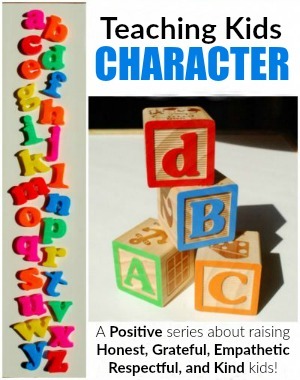 Avoid labeling and comparing your kids to each other – even mentally. (Faber and Mazlish, Siblings Without Rivalry: How to Help Your Children Live Together So You Can Live Too ). If you are tempted to have different rules and expectations for your sons and daughters, look deeply at your own motivations and think about how fairly the kids will view these differences! 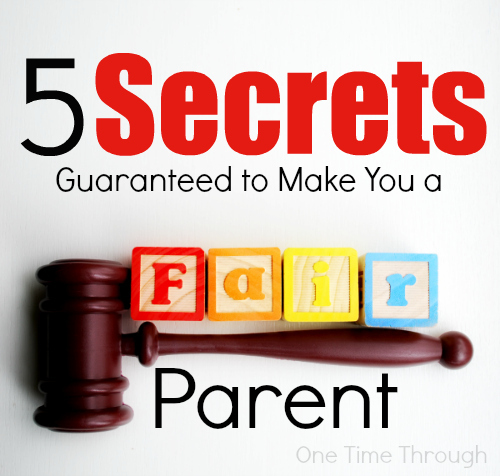 I hope you enjoyed reading the 5 Secrets Guaranteed to Make You a Fair Parent! 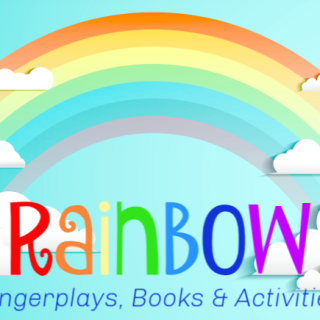 To find even more fun and educational activities as well as positive parenting tips, follow me on Facebook, Twitter, and Google+. 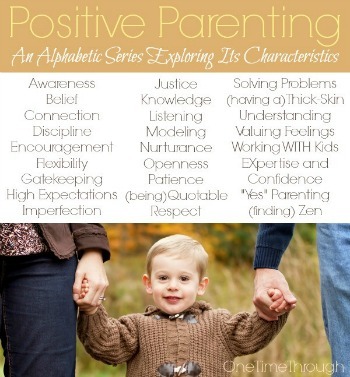 Follow my Positive Parenting Pinterest board! 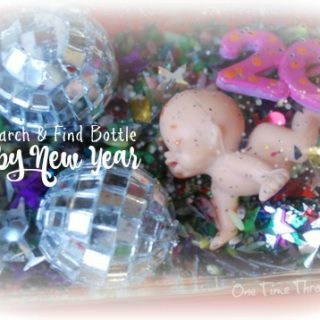 Follow One Time Through’s board Positive Parenting (1-6 yrs) on Pinterest. Thanks for joining us this week. 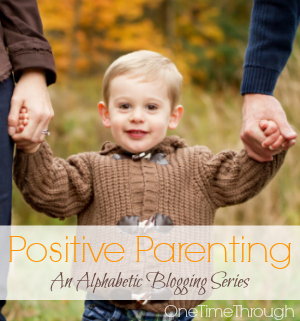 You can find all my series posts on the Positive Parenting Page.